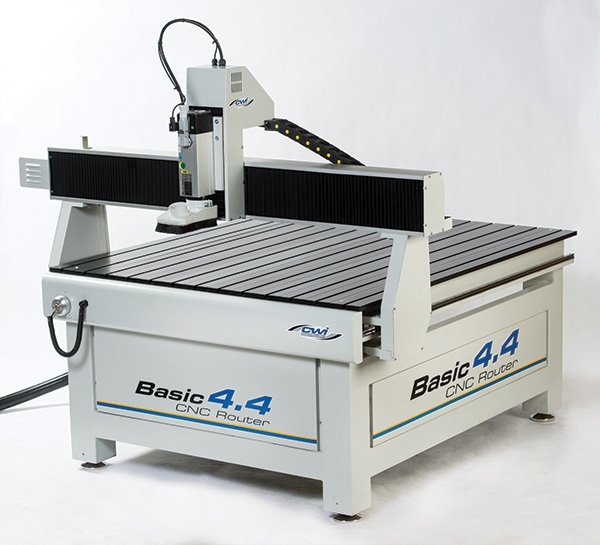 The Basic 4.4 is designed by CWI to be the next level above our Professor series of bench top CNC routers. This is a floor model with more capacity and power in a 48” x 48” working area. 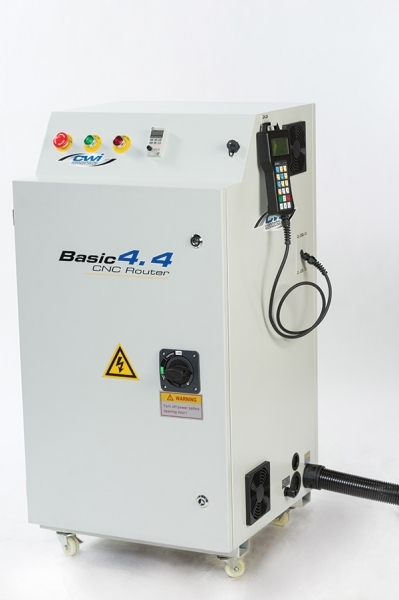 Like our Professor series, the Basic 4.4 will offer better performance, quality, motors, components and features than any competitive machine in its class. The Basic 4.4 is designed by CWI as the next step up for hobby, professional, sign makers, prototyping and educational users. 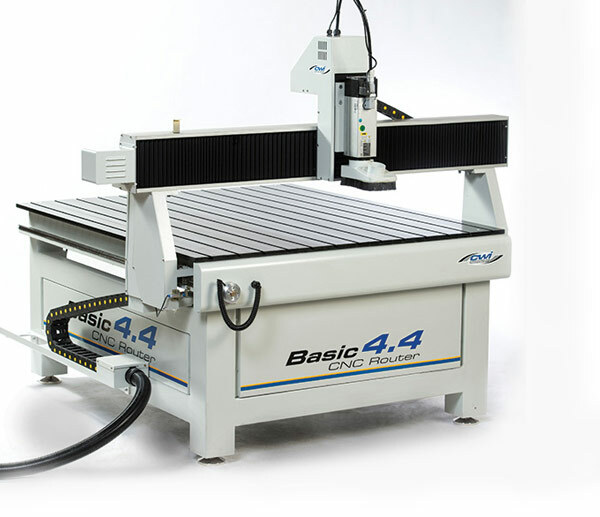 The Basic series of CNC routers all start with a heavy duty welded steel floor model frame. The black anodized aluminum table is then mounted to the steel frame for an excellent working surface with plenty of options for the use of hold down jigs. Under the frame are four heavy-duty 5” diameter adjustable feet for solid footing on the shop floor. 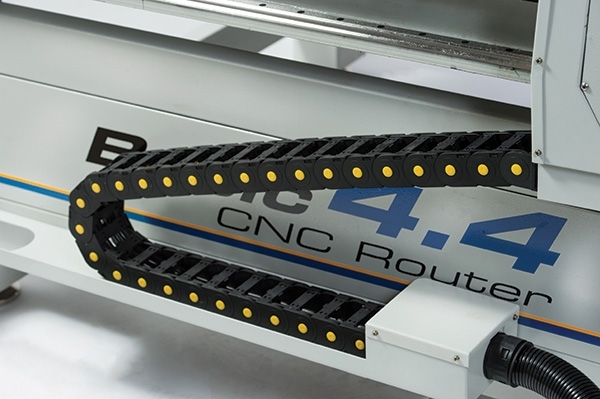 The adjustable gantry is a full 1” thick-machined aluminum frame (including the support arms and cross members), which rides on accurate THK linear guide ways. 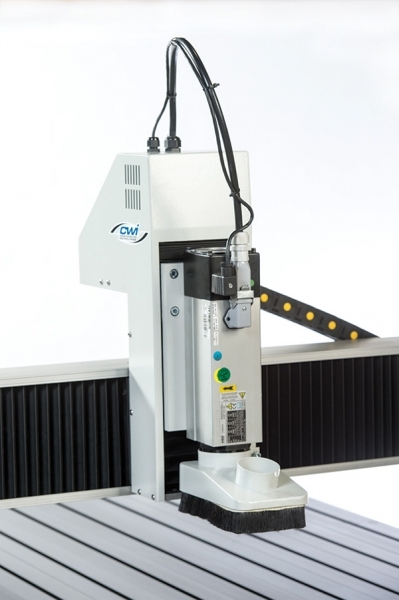 The gantry moves on 5/8” diameter precision ball screws in both X and Y movements by quality stepper motors. On the Basic 4.4 we use the industry leading commercial quality HSD 2.1kw (3 HP) 3-phase electrical spindle, which comes with 1/8”, 1/4”, 3/8” and 1/2” high precision ER25 collets. The 3-phase motor is then converted by a Delta phase inverter to run at 0-24,000 rpm on single-phase 220-volt power. HSD is the leading Italian manufacturer of CNC spindles throughout the world. 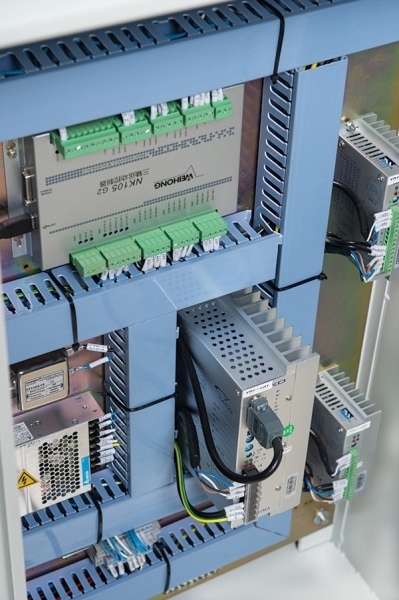 Users will find the speed, power and precision of the HSD spindle second to none. The HSD spindle motor offers 8” of Z travel while also utilizing a heavy-duty 5/8” ball screw and stepper motor. The machining area is just under 48” x 48” with a gantry clearance height of 8.25”. This speedy powerful machine can travel at 234”/minute and cut at up to 195”/minute. To make set up simple we include a tool measure devise for making accurate measurements of tool height when starting your projects. 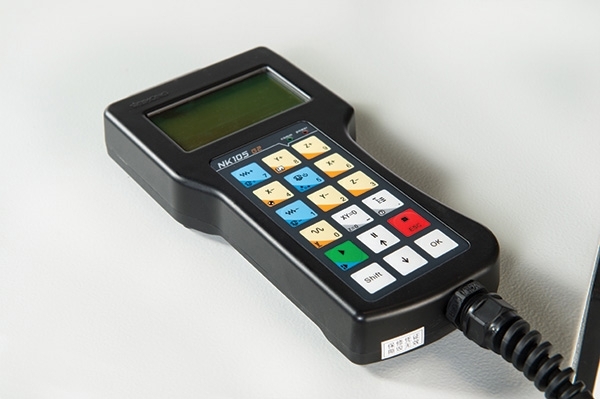 To operate the machine we use a NC Studio model NK105 hand held controller. 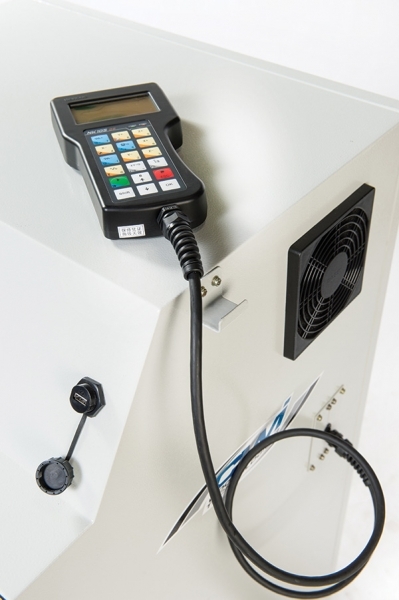 Simply download your work program from your computer to a memory stick, slide it into the USB port on the control panel and the hand held controller works everything from there – perfect for ease of operation and keeping your computer out of the dusty world of your workshop. The Basic 4.4 operates on 220-volt power on a standard 20-amp 220-volt circuit breaker. 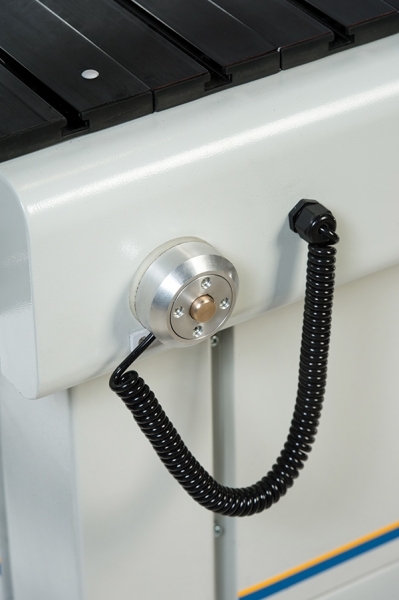 For dust collection we include a dust boot with a 2.5” dust port to connect to standard dust hose. The Basic 4.4 ships to our customers in a wooden crate measuring 72” x 70” x 70” and weighs in at 1500 pounds. Operating software is not included. 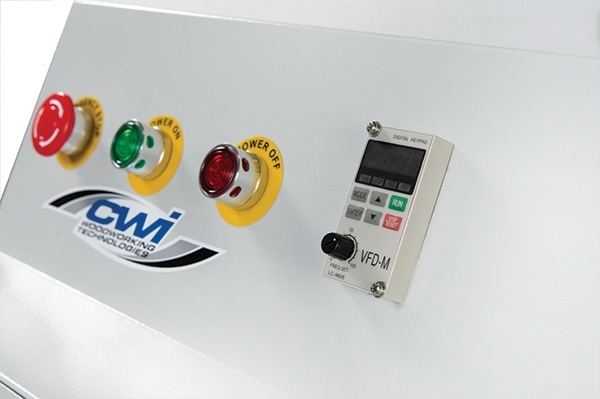 CWI recommends the Vectric CNC products. We stock V-Carve Pro, Cut3D, Photo-Carve and Aspire. Other options you may want to consider are cutting tools and dust hose. 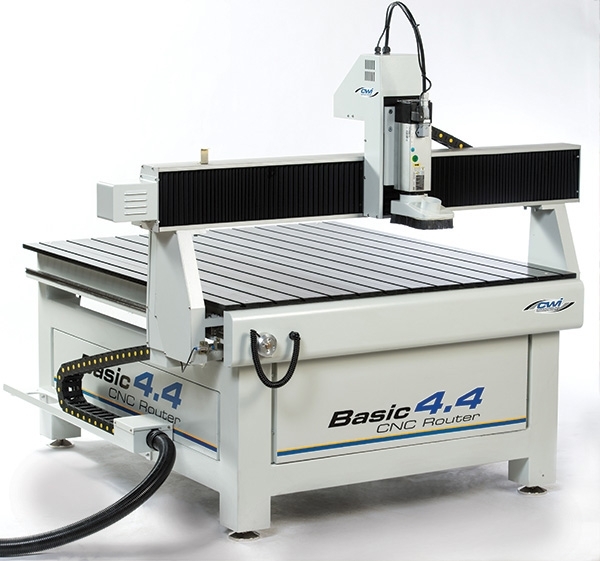 We can also offer the Basic series of CNC in a 48” x 96” working area for larger work as well as an optional vacuum hold down table.